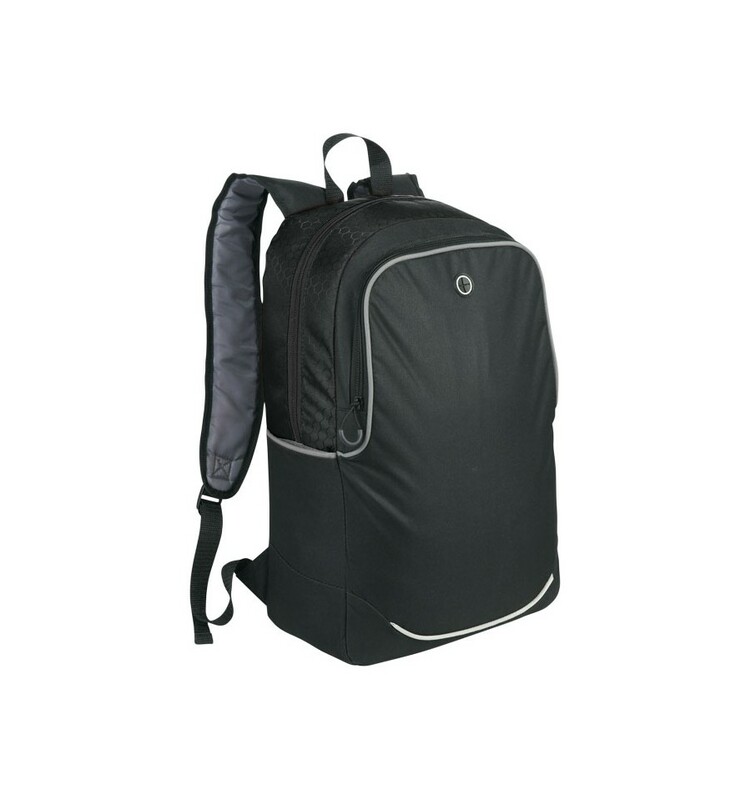 Benton 17" Computer Backpack. 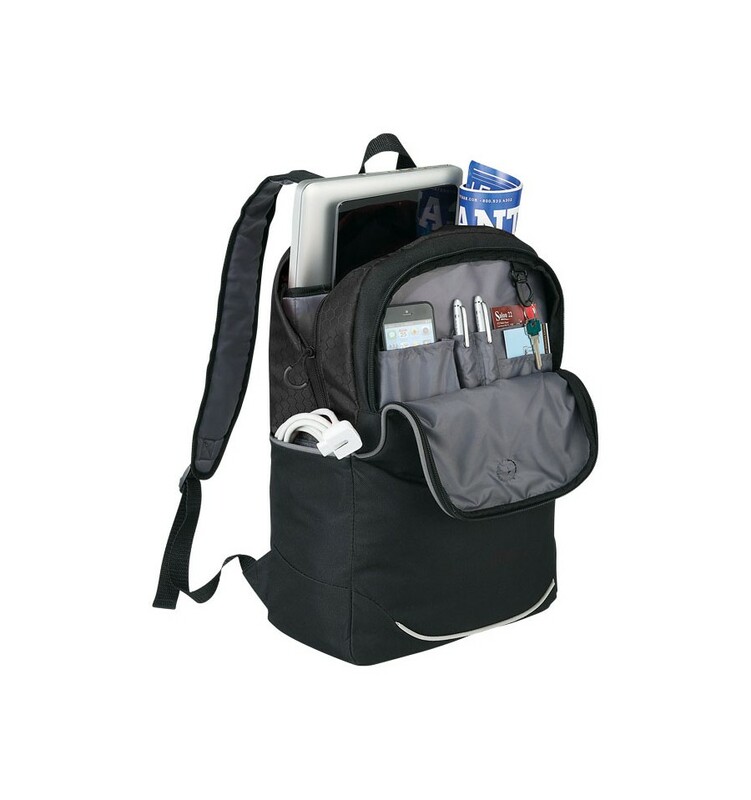 17” Computer backpack with zipped main compartment and padded pocket for your iPad or tablet. The large front pocket with zipper closure provides earbud access, an organisation panel for pens and business cards and is suitable for carrying additional mobile tech devices and charging cables. 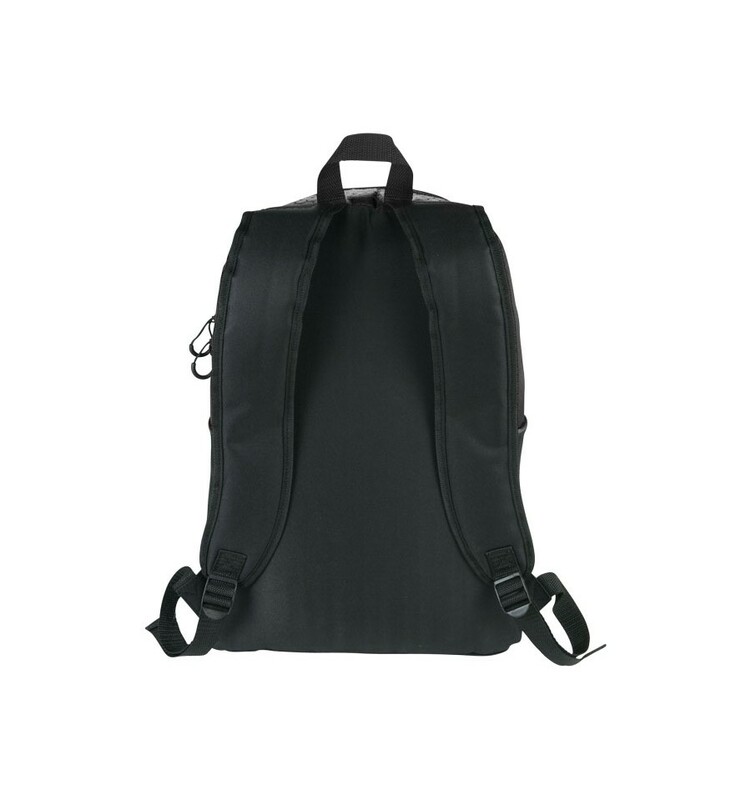 Features a carry handle and adjustable backpack straps for improved comfort and fit. 600d Polyester.